Smooth, shiny and cool to the touch. Pochette for cleansers, paints and such. Outer marching ants stitched just right. Inside cheerful stripes on white. A welcome gift for you and me. 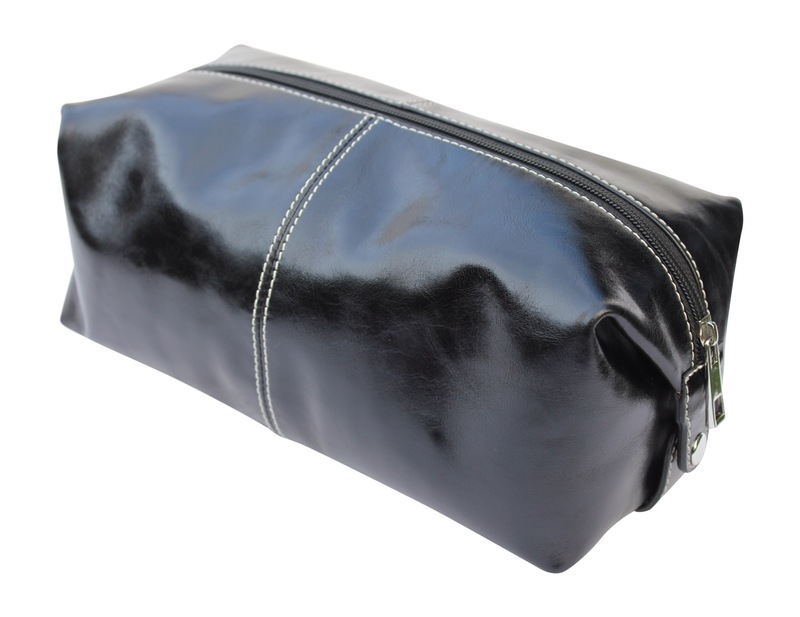 I am promoting the Kangaloon Leather Toiletry / Storage Bag (available on Amazon) for my dear friend Libby. The same friend I mentioned in my post The way of the gull.